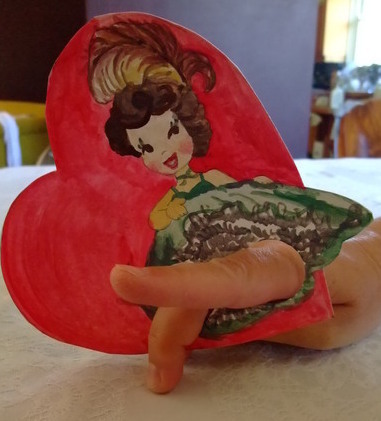 This is a fun way to make Valentine's day cards with a difference. 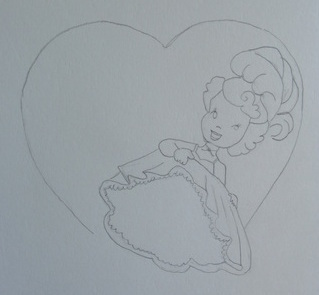 On a sheet of cardboard, draw out your can-can dancer. 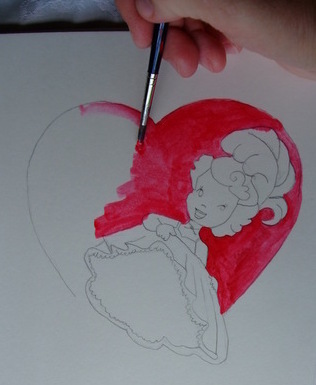 Paint in the red heart. 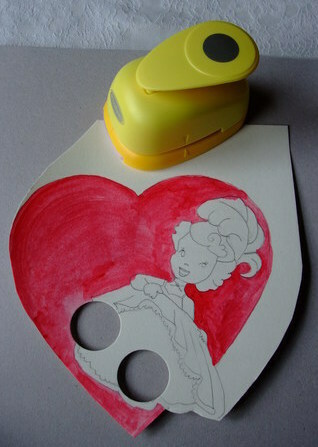 With a hole puncher, punch holes for her dancing legs. 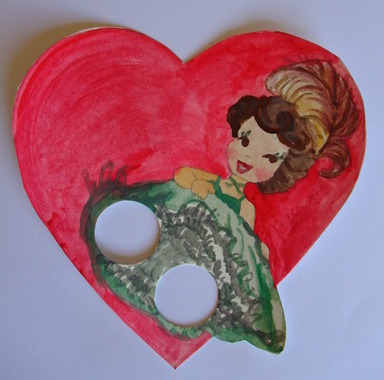 Paint in the rest of your dancer and write a valentine's message in the heart.